One disadvantage of living in a very rural area is the lack of selection in many things, especially dog food, treats, and accessories. So many times I read about something new I'd like to try, but the closest store location is 4-5 hours away. 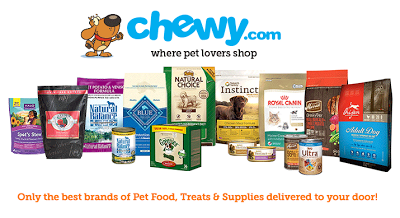 Seriously, it is a wonderful thing to hop online and find exactly what I need at Chewy.com and have it delivered to the front door in 2 to 3 days. It's like magic! 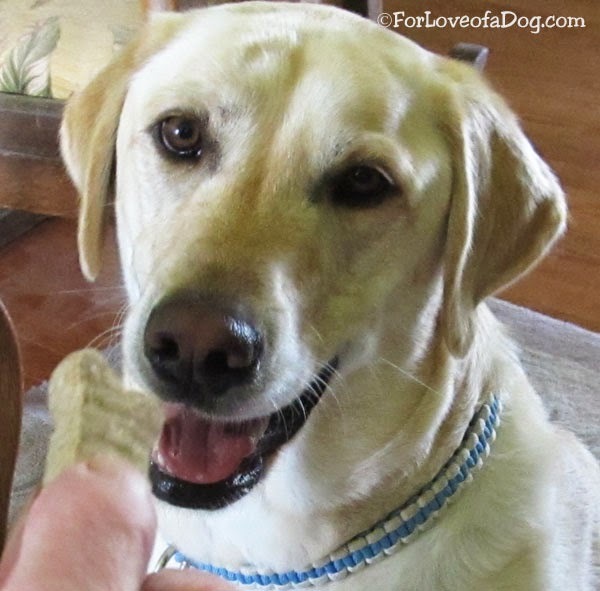 Nature's Variety Prairie Oven-Baked Biscuits are a delicious treat that dogs will love. Each crunchy, bite-sized biscuit is made with wholesome, natural ingredients. These dog biscuits are available in four flavors: Chicken and Cheddar Cheese, Bacon and Apples, Pumpkin and Cranberries, and Peanut Butter and Bananas. We received Nature's Variety Prairie Oven-Baked Biscuits in the bacon and apple flavor. These are all natural dog biscuits made without wheat, corn, soy, artificial preservatives, flavors and colors. Plus they are made in the USA. 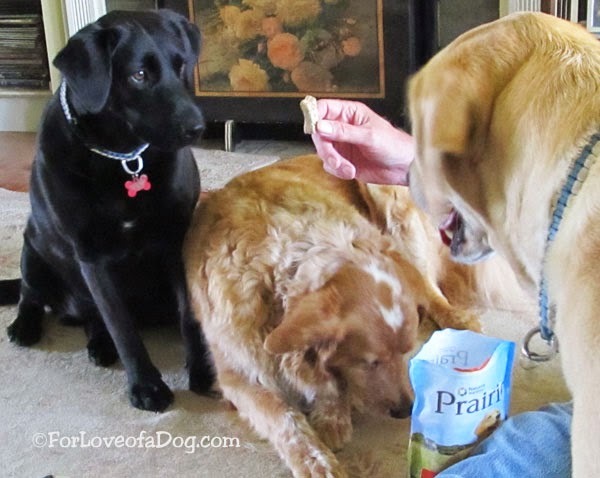 Our taste testing was a high tension affair because all three dogs absolutely loved these treats. They found it very difficult to sit still and wait their turns for a taste test. I couldn't blame them. These dog treats smell like BACON! Jeffie, Rudy and Rosie love them. 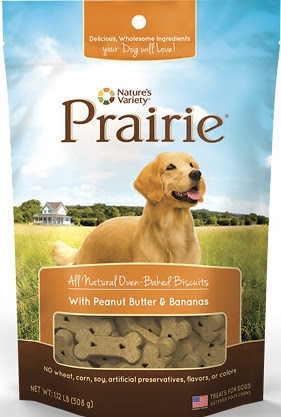 * We received one package of Nature's Variety Prairie Dog Biscuits from Chewy.com in exchange for our honest review of the product and service. We received no other compensation - financial or otherwise. It's always nice to have treats delivered to your door! 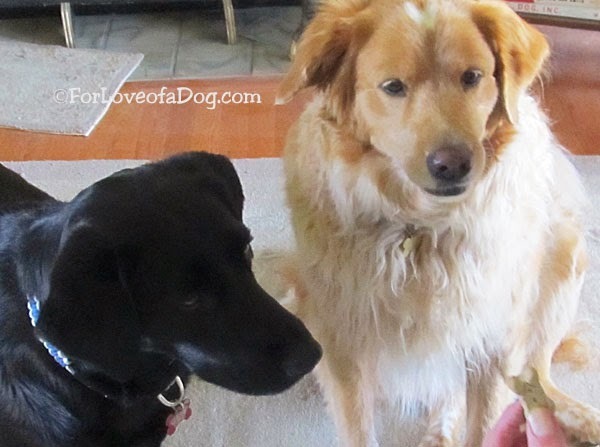 I love healthy treats and the dogs love anything that smells like bacon so they sound like a win-win for our gang! It is great they can be ordered online because of traveling distances, we also do most our dog treat shopping online. I agree online shopping is the best. 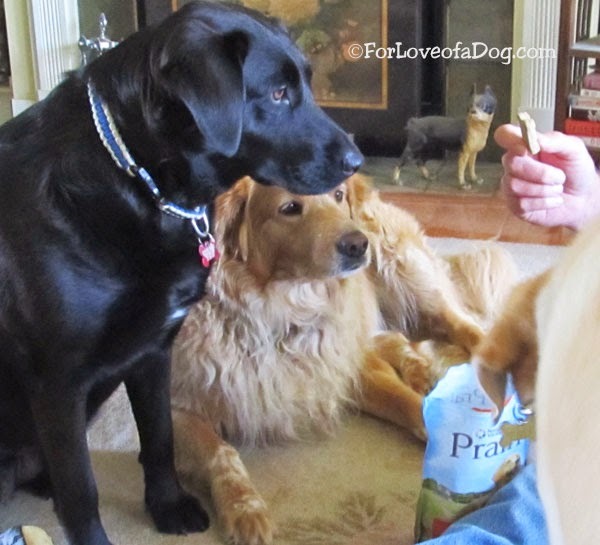 Those peanut butter - banana treats look pretty yummy. I'm always on the lookout for new treats for my pups. I'll have to give these a try! Not much is better in life than having noms delivered to your door! 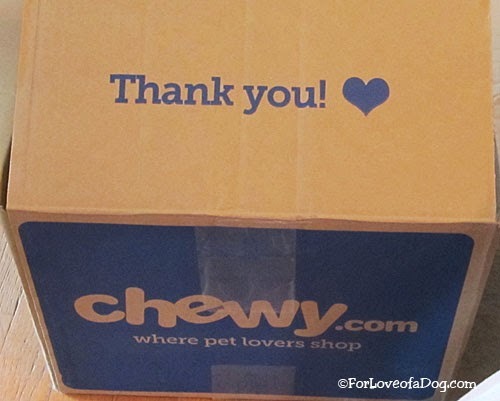 Hooray for a yummy and barking good treats delivered to your door! Those treats are looking yummi. Sniff and wags from Laika and Vaks. 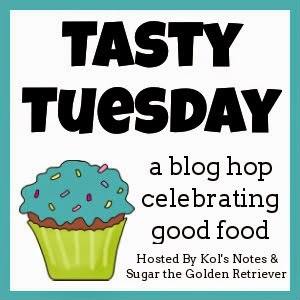 Love your blog - and all the great info - thanks! I looked at those in the pet store yesterday but was put off by the 'clay' ingredient. 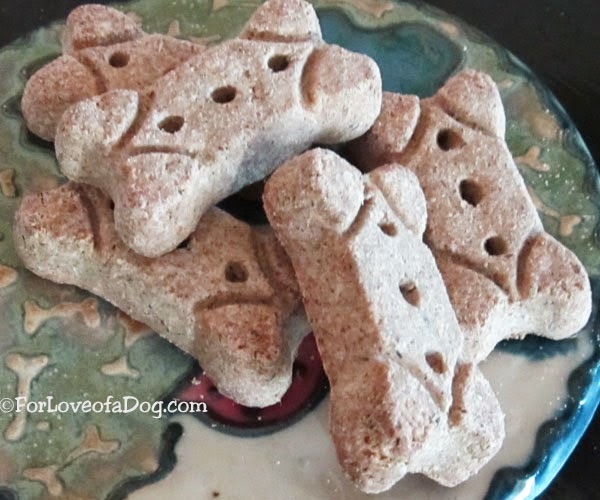 Why is there clay in dog treats? Apple, bacon, and Chewy, how can anything go wrong? I think that little boston in the back ground wants to try one also! lol this was a great review. Good price for the package they come in. Glad they enjoyed them. I'm with you....if online shopping wasn't an option, we wouldn't get to try anything! These treats look really good. Great review and photos! Those look good and like something our doggies would like.